India Promissory Notes. Legally Binding. 100% Guarantee. Document by which a borrower promises to pay the holder of the note a certain amount of money under specific terms. 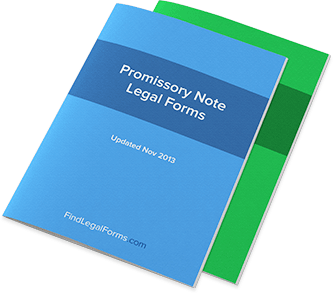 Popular - Promissory Note forms for use when one person borrows money from another and pays it back via installments. Instalment Promissory Note with Final Balloon Payment (India) This Instalment Promissory Note with Final Balloon Payment is designed for use in India. This form is available for immediate download. Promissory Note - Instalment (India) This Promissory Note - Instalment is designed for use in India. This form is available for immediate download. Promissory Term Note (India) This Promissory Term Note is designed for use in India. This form is available for immediate download. Secured Instalment Promissory Note and Security Agreement (India) This Secured Instalment Promissory Note and Security Agreement designed for use in India. This form is available for immediate download. Secured On-Demand Promissory Note and Security Agreement (India) This Secured On-Demand Promissory Note and Security Agreement is designed for use in India. This form is available for immediate download. Secured Promissory Note and Security Agreement (India) This Secured Promissory Note and Security Agreement is designed for use in India. This form is available for immediate download. Secured Term Promissory Note and Security Agreement (India) This Secured Term Promissory Note and Security Agreement is designed for use in India. This form is available for immediate download. A promissory note is a written promise from the “maker” or “issuer” to the “payee” that a certain amount of money will be paid from issuer to payee in the future. Though there is no requirement to write a date at which the payment will happen in a promissory note, it is a common provision of these notes. Additionally, promissory notes will often contain information on the interest of the debt. As for payment: there are a number of payment methods that can take place with the written notification of a promissory note. Also known as “notes” or “notes payable,” these one-way “contracts” are considered enforceable under law and as such can be used as negotiable instruments. How are promissory notes different than IOUs? Because an IOU is similarly a written document acknowledging that a debt exists, many people confuse IOUs with promissory notes. The difference is that IOUs are simply a written affirmation that the debt exists; promissory notes also acknowledge this debt exists but go a step further in promising the payment of that debt. The promissory note can then be further modified to indicate the method and timing through which the payment(s) will be made. Why might I want to use a promissory note? Because a promissory note, once signed, can be enforceable by law and considered a “negotiable instrument,” a promissory note is essentially a way to put debt on paper and use it for that value. This is valuable, for example, in the world of mortgage payments and real estate because of the debts incurred through those transactions. It is also useful in business loans. What are the payment options for debt in a promissory note? These different types of payment methods do not have to be signed by the other party – the payee – but the possession of such a promissory note does imply a de facto agreement between the two parties. Balloon payment: If you imagine the payments of your promissory note are frequent but relatively small until a specific point, at which the payments suddenly increase, this could be considered a balloon payment. It gets its name because the payments eventually swell up like a balloon, often due to the presence of compound interest that is accruing over time. Installments: Paying flat installments on a debt that has been incurred is a good way to ensure that you’re paying back stable, predictable rates both on interest (which helps prevent ballooning) and overall. On Demand: This type of payment is exactly what it sounds like: payment must be rendered “On Demand” when the lender has requested the payment. Though this is not a common way for people to pay off the debt on their promissory notes (many opt for installments, as is the case in many car loans and mortgage loans), it is still a potential way for the lender to enforce its collections. Term: At the end of the payment term, a Term payment will then require that the issuer pay the remaining principal and interest in full. The date of this term will be outlined in the promissory note. What kinds of promissory notes are there? Although the essence of a promissory note remains the same, there are a few variations that allow for certain agreements and transactions to take place between individuals and businesses. These variations allow for a greater deal of flexibility in their business interactions. Line of credit: Establishing a line of credit between two people through a promissory note is a common way to ensure that monthly payments, for example, are binding. This helps ensure that the person issuing the credit will be able to mitigate their financial risk and be assured of prompt payment. With a Guarantor: Because extending credit or loans to certain parties can be financially risky, a promissory note with a guarantor can be used in order to make sure that the payment is guaranteed by the third party. This will mean both the debtor and the third party are accountable for the debt in the promissory note. Secured: Secured promissory notes are used when the debtor puts up property to help ensure the security of the loan taking place. Secured promissory notes are frequently used by banks, for example, and can easily be modified to ensure different payment options. When is a promissory note enforceable? Provided that a promissory note was signed lawfully and with full mental capacity by the issuer, promissory notes are enforceable upon their signing. The individual payment terms present in the promissory note, of course, also help ensure protection from a lender so that payments are not unlawfully solicited ahead of time. All enforcement, of course, will be dependent on the payment type – for example, an On Demand promissory note payment system will not offer those same protections to the issuer. What are the requirements for promissory notes to be valid? Much like any contract, a promissory note must have a number of requirements fulfilled to be considered valid. They must be made by legal adults, for example. One particular issue in the validity of promissory notes is Consideration. Many contracts between two people are not considered valid without proper consideration – or some sort of equal exchange – between two parties. Similarly, a promissory note must be founded on a lawful transaction. When is a promissory note effective? Typically, a promissory note is effective upon its signing. Because promissory notes lay out the own terms for the payment of debt, much of the enforceability of payment relies on how these terms are established in the promissory note. The different methods of paying off debts listed in promissory notes helps establish its effective dates, as well as when payments are to be made. But essentially a promissory note is effective from its signing until the debt has been paid off in the manner described in the note.